This is not your average newsletter. Each newsletter is jam-packed with our weekly specials and deals, and you will be the first to know. Do you love our YouTube videos? Sign up for the newsletter, and get an update each time we publish a new one. Quality Products. Quality Prices. Quality Service. And FAST Shipping! 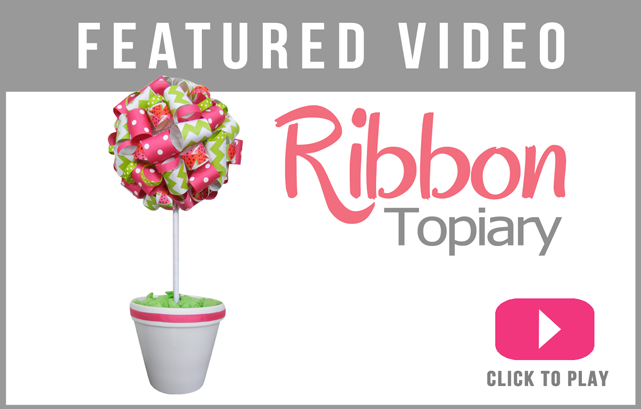 The Ribbon Retreat is your one stop spot to shop for all the supplies you need to start your newest craft or project. We carry a huge selection of ribbons including grosgrain, jacquard, double ruffle, wired, sheers, sequin, and many more! As a Google trusted store, our ordering, checkout, and shipping process is top of the line, ensuring you get the best shopping experience available. Our quality products, quality prices, and quality service keep our regulars coming back for more, and soon enough you’ll know why. Allow us to be your go-to for all crafting needs, and we’ll show you why we are unmatched in customer service and satisfaction!